I was recently at a workshop where the presenter used the term “bell-to-bell teaching.” As a student teacher, I was embarrassed to ask what this means. Teachers can’t control the length of the class periods, but they can control how they use the time they have. The goal should be to maximize the learning time, from the beginning of the class period to the end (bell-to-bell). When I first heard of bell-to-bell teaching, I worried some teachers and administrators might infer teachers should “perform” or take center stage for the entire class period. This seems at odds with the idea that class activities should focus more on what the students are doing. (It also sounds exhausting.) As I reflected on this, bell-to-bell learning made more sense to me. 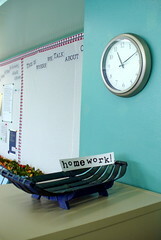 At the beginning of each class period, the teacher takes attendance, returns papers, and collects assignments. He expects the students to wait quietly in their seats until he has finished, sometimes taking as long as 10 minutes. In the middle of a class period in which students are engaged in a science activity, the principal announces the winners of a school contest or election via the school’s public address system. It takes the teacher a few minutes to get the students’ attention focused back on the activity. The teacher returns a test. She reads each question and provides the correct answer with no discussion. She then announces there is not enough time left in the period to start the next unit, so she tells students to use remaining 20 minutes as a study hall. Teachers can help students take responsibility for using class time purposefully to meet the learning goals through guidance and modeling. One method I found effective was to post an agenda. When the students came into the lab, they knew what the learning goals were, what activities they were going to work on in class, what needed to be turned in, and what materials they needed (pencil, science notebook, paper, textbook, etc.). Transitions between activities can also be a source of down time. Class routines can help students to stay on task. For example, students should have routines for cleaning up after a lab activity, turning in assignments, and moving between group work and large-group activities. Interruptions and distractions are also obstacles to bell-to-bell learning. Cell phones or other devices should be turned off, unless they are being used as part of the lesson. Teachers often can’t do much about school-wide announcements, but you and the administrative staff could discuss how to communicate without unnecessary interruptions. The day before a long break can be a challenge, too. Rather than a study hall or video, students might enjoy vocabulary games, a discussion of current events, or a lab activity. When we complain our curriculum has too much to “cover,” why would we give up valuable class time for study halls, videos unrelated to the curriculum, coloring pages, or other busywork? Let’s make every minute count for learning, from the first bell to the last. This entry was posted in Ask a Mentor and tagged classroom management. Bookmark the permalink. Trackbacks are closed, but you can post a comment. What an interesting point you made to control over how to use the time the teachers have. The term “bell–to–bell teaching” tells everything. Thanks. School administration often forgets that they set the tone for the day. They generally interrupt my classes three times a day. The other time wasters include the constant assemblies. Class assemblies, athletic assemblies, no bullying assemblies, style shows, talent shows, homecoming parades. The list goes on.